When a car becomes more, it surprises you at every turn. And, with an EPA highway rating of 34 mpg , Camry’s surprise is a pleasant one. Even better, the Camry Hybrid has an EPA rating of 40 mpg  in the city. So, while Camry rejuvenates the senses, it does so sensibly. Every Camry—the race-inspired SE, the impeccable XLE and the ultra-efficient Camry Hybrid—is engineered to change not just the way you feel about cars, but the way you feel, period. 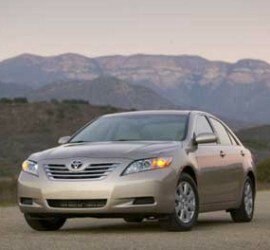 Buy a Camry Hybrid now, and you may be eligible for Federal Tax Benefits. Plus, several states now allow single-occupant use of the carpool lane for Camry Hybrid.